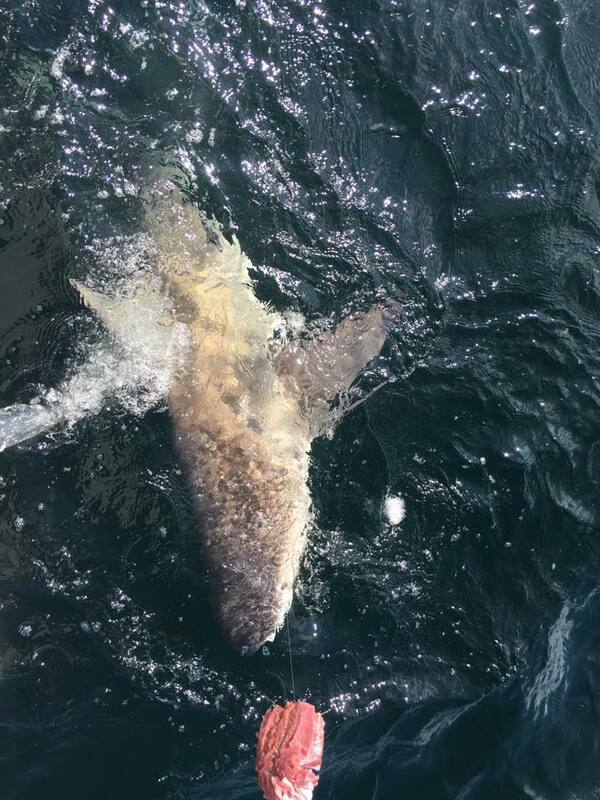 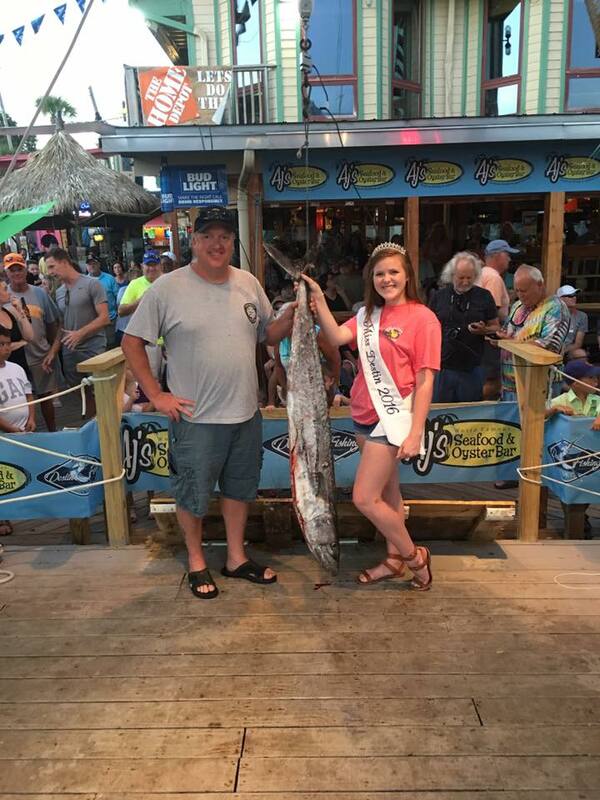 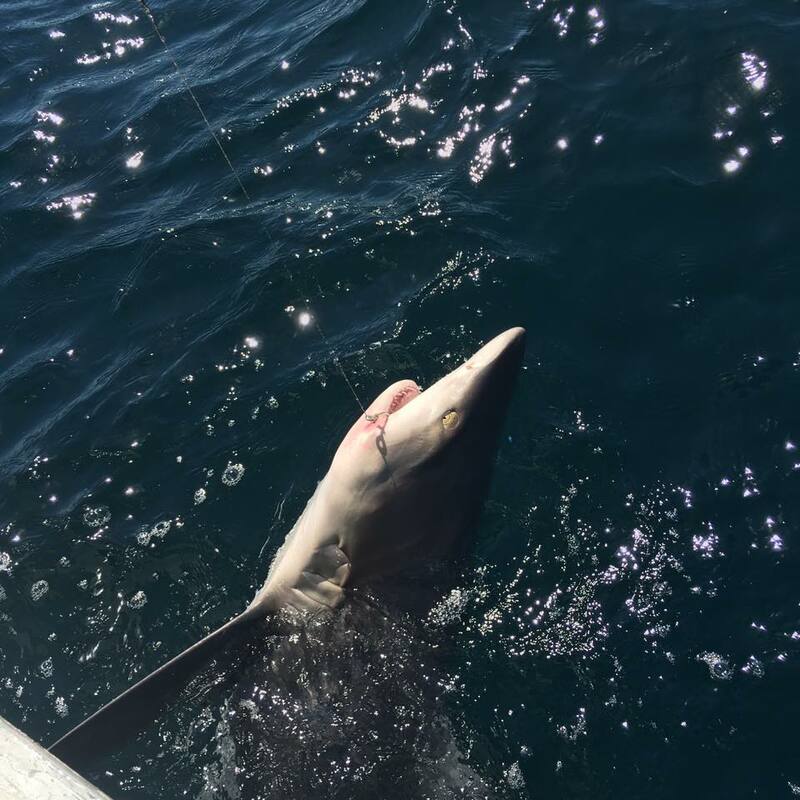 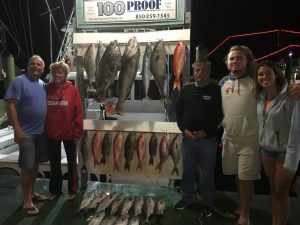 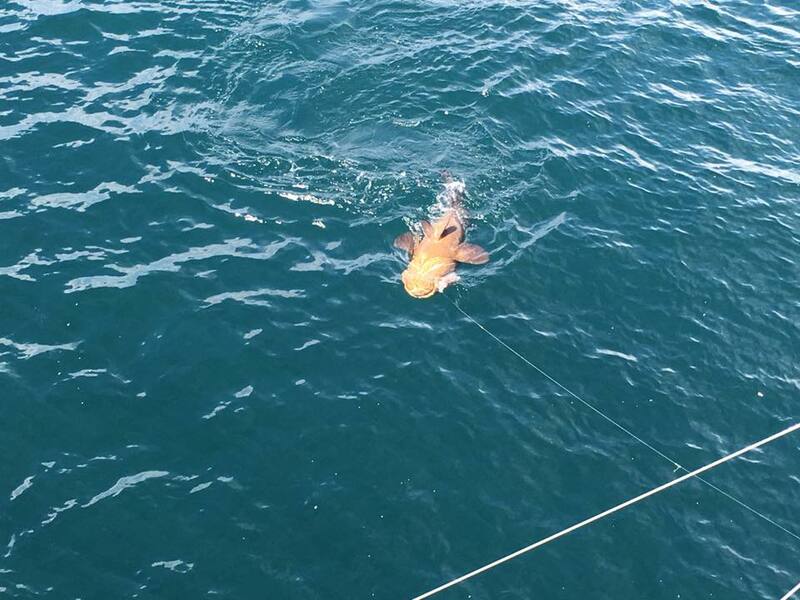 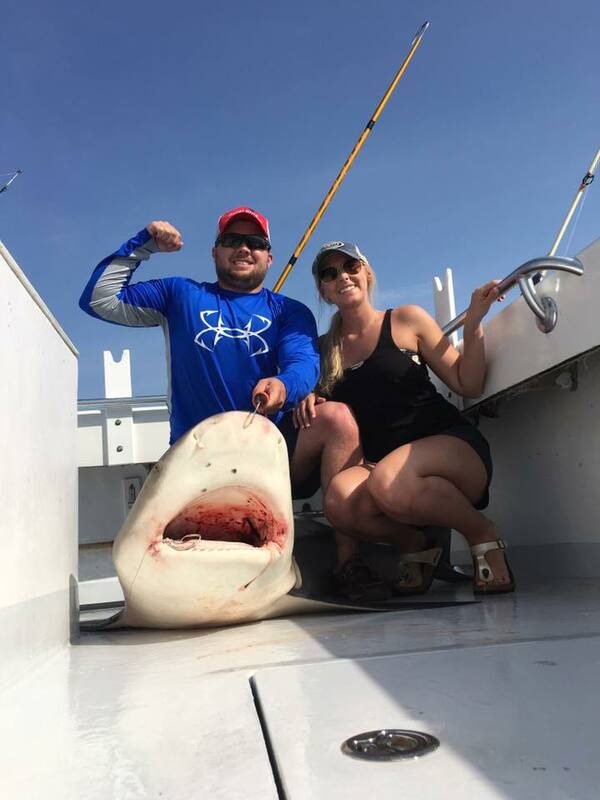 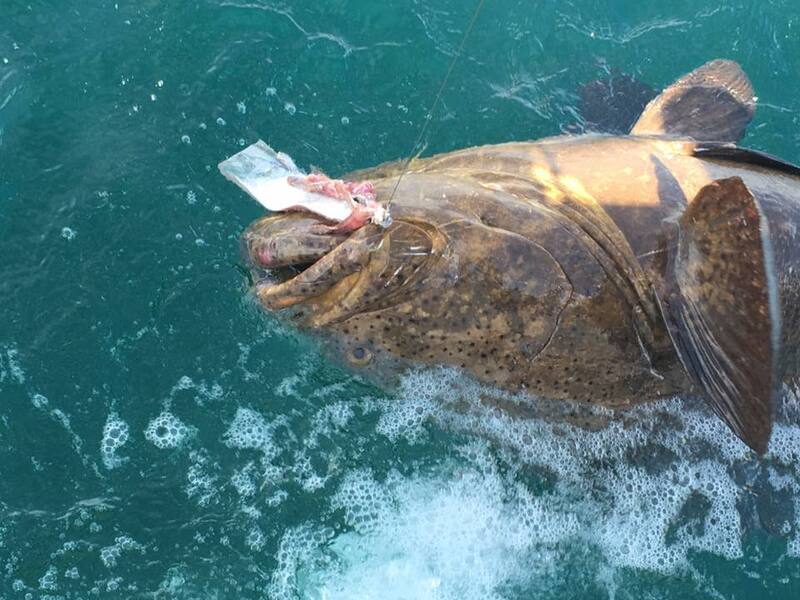 Go Deep Sea Fishing in Destin the “The World’s Luckiest Fishing Village” on 100 Proof’s Destin Charter fishing Welcome to the “100 Proof Charters” website, home of the best Destin fishing charters and deep sea fishing trips. 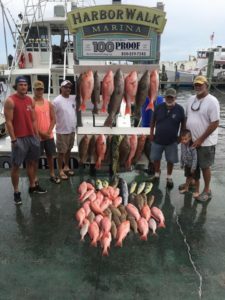 These are just some of the types of fishing we do: Red Snapper, Grouper, Amberjack, Tuna, Mackerel, Vermillion Snapper, Triggerfish, Cobia, Shark, Marlin, & more! 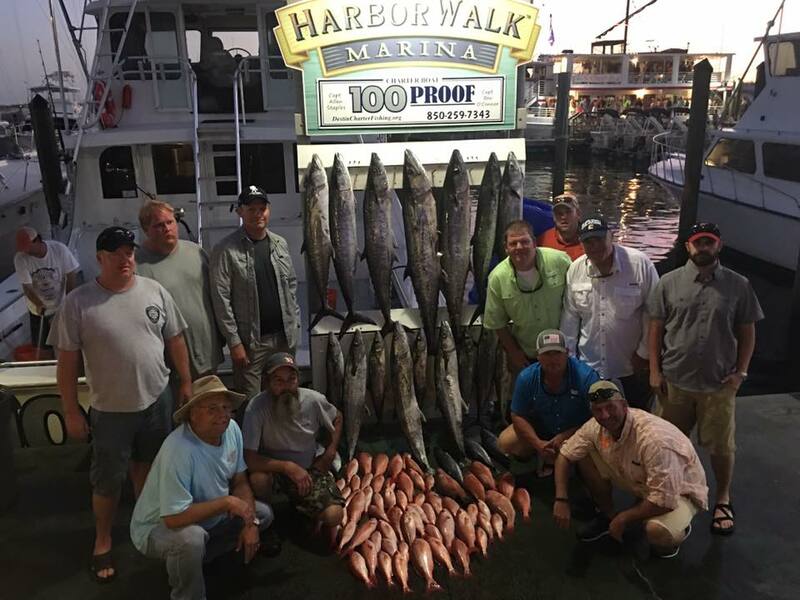 The 100 Proof charter boat is docked and departs from the harbor in Destin, Florida. 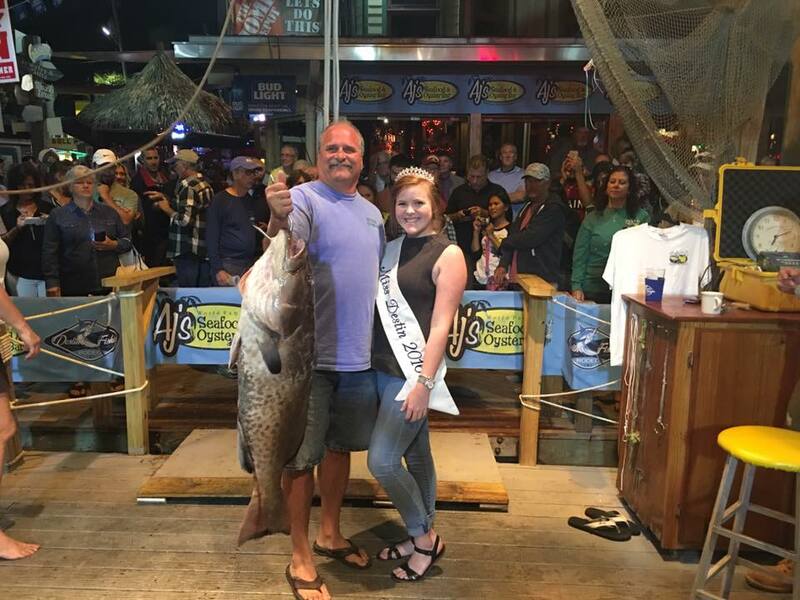 Located at Harborwalk, we are family oriented and locally owned. 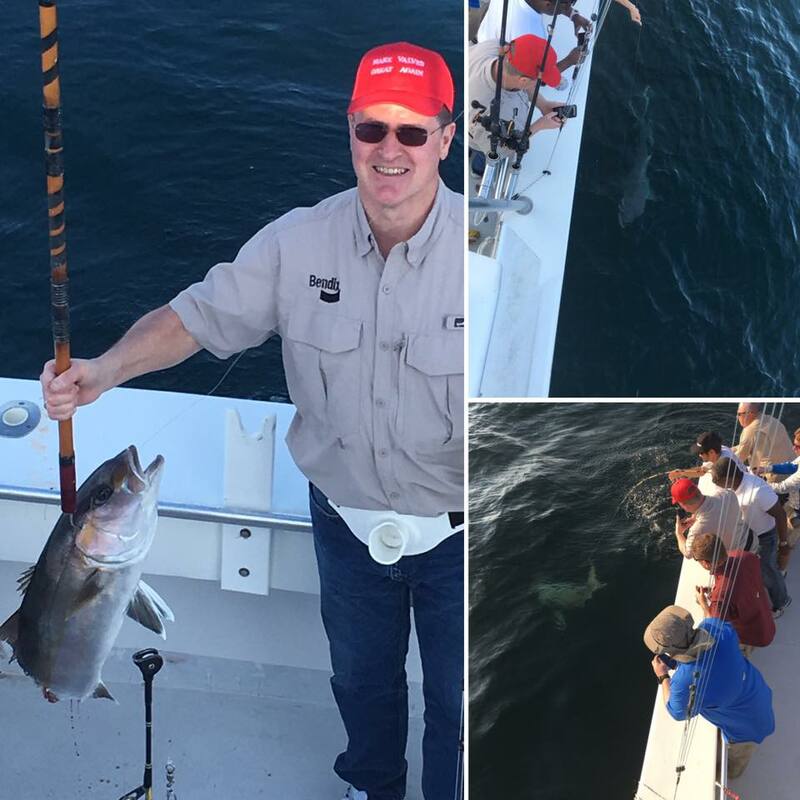 Experience the beauty of our emerald coast while charter fishing in the Gulf of Mexico. 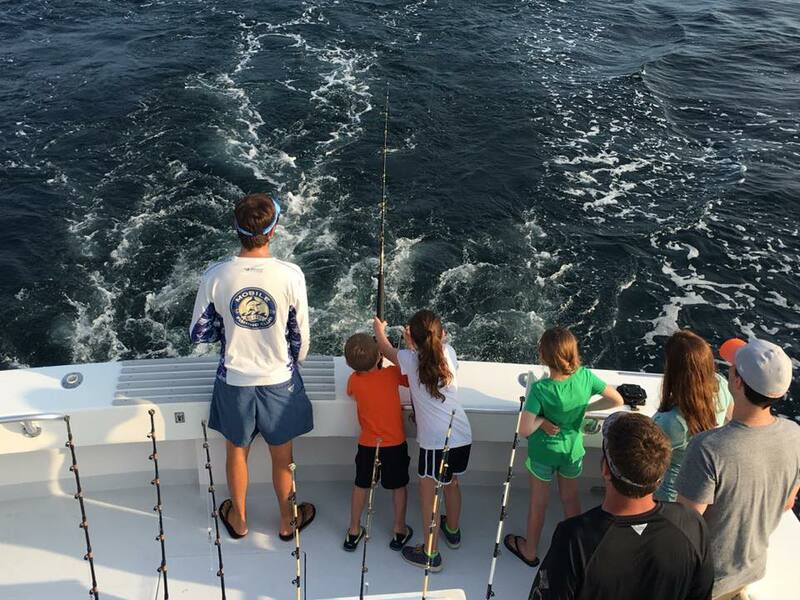 Deep sea fishing charters are not only fun and exciting, but a great way for a family to spend the day together. We offer a variety of Destin charters and fishing trips, ranging from a 4 hour family cruises, full day, to 48 hour, overnight fishing marathons! Our overnight fishing charter offers an awesome fishing experience for the experienced fisherman and novice alike. 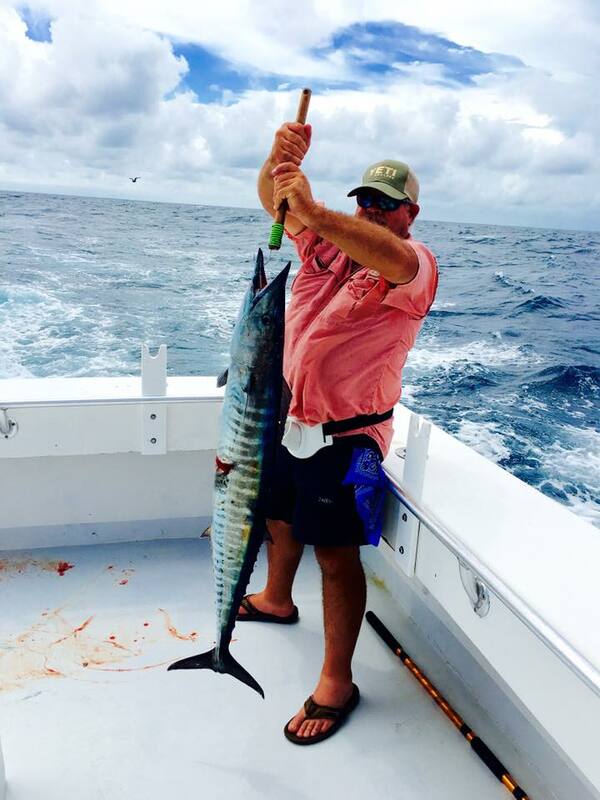 During 48 hour charter fishing trips we travel much farther into the Gulf of Mexico, and are able to catch more fish. 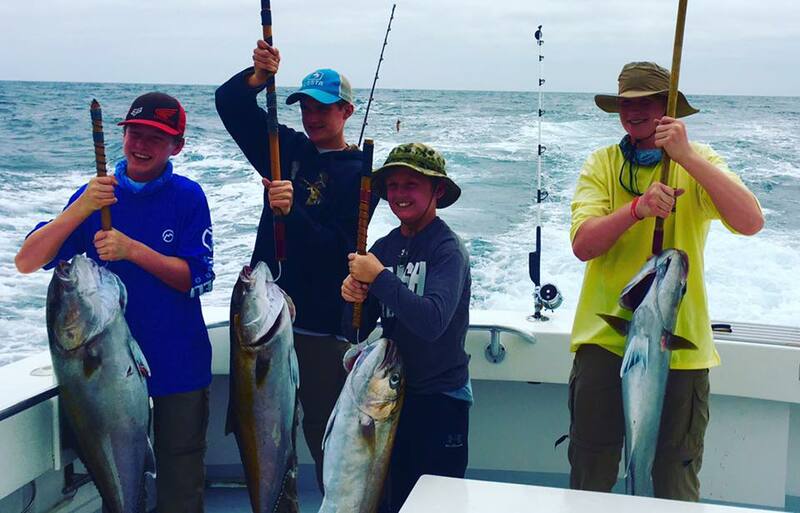 Our 6-12 hour fishing charters are great for anyone interested in catching a lot of fish in a days time. 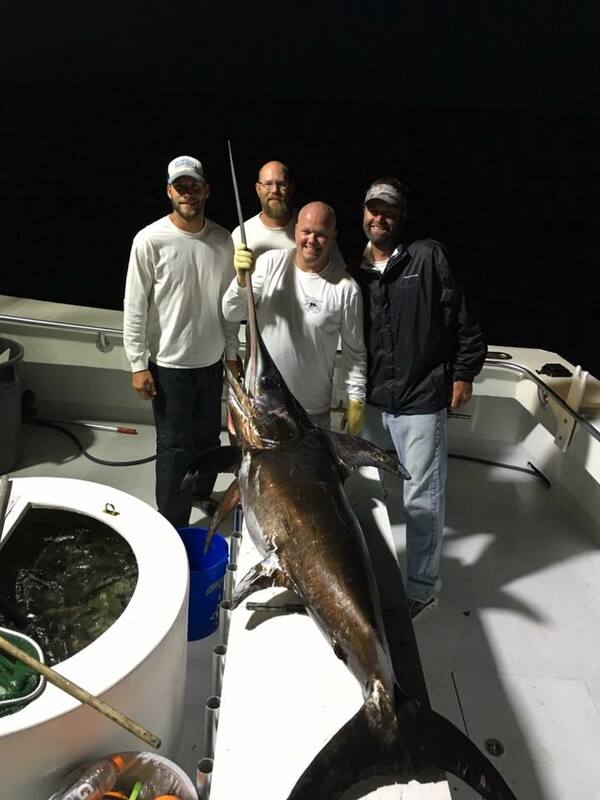 On six to eight hour charter trips you might expect to catch, Red Snapper, Red Grouper, Gag Grouper, Vermillion Snapper, White Snapper (Red Porgy), Triggerfish, Amberjack, King Mackerel, and even the occasional tuna or dolphin fish (Mahi-Mahi). 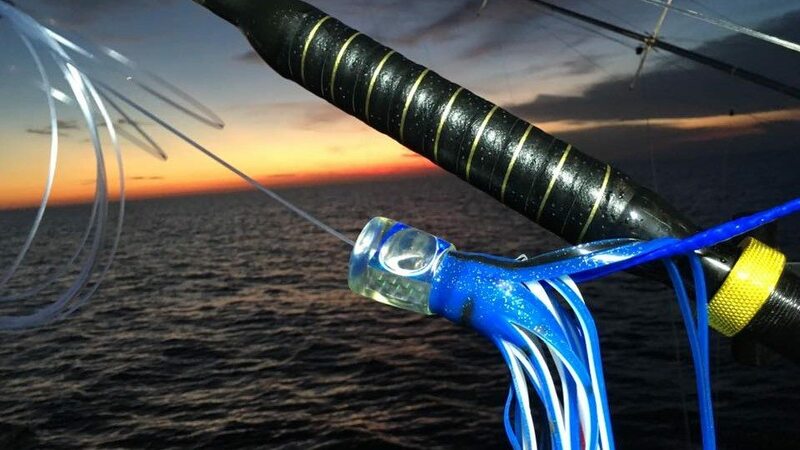 We use only the best fishing equipment available. 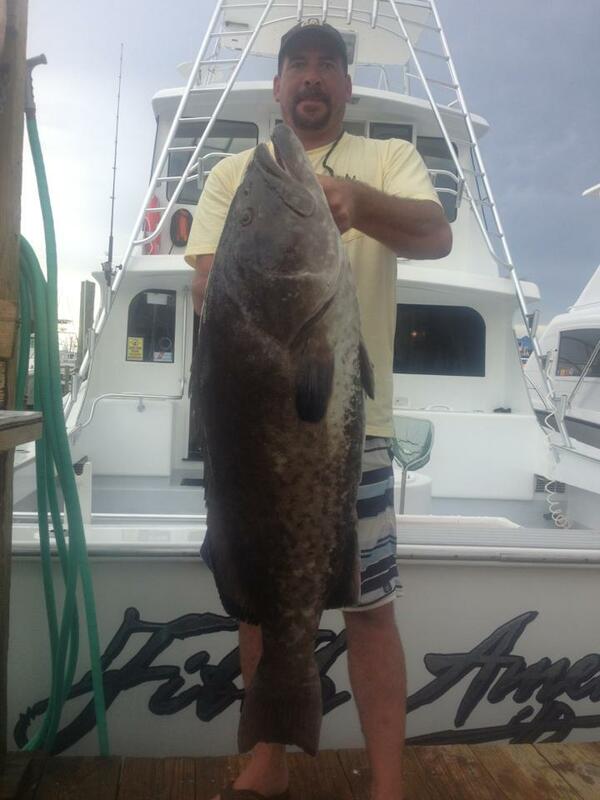 We provide fishing rods, reels, bait, and tackle. 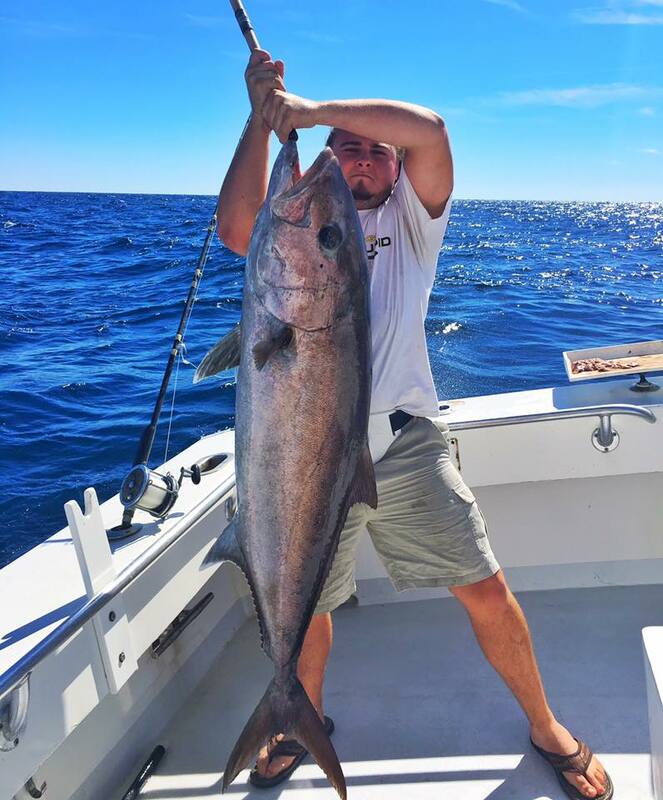 We have the necessary skills and knowledge to ensure you leave with an amazing catch. 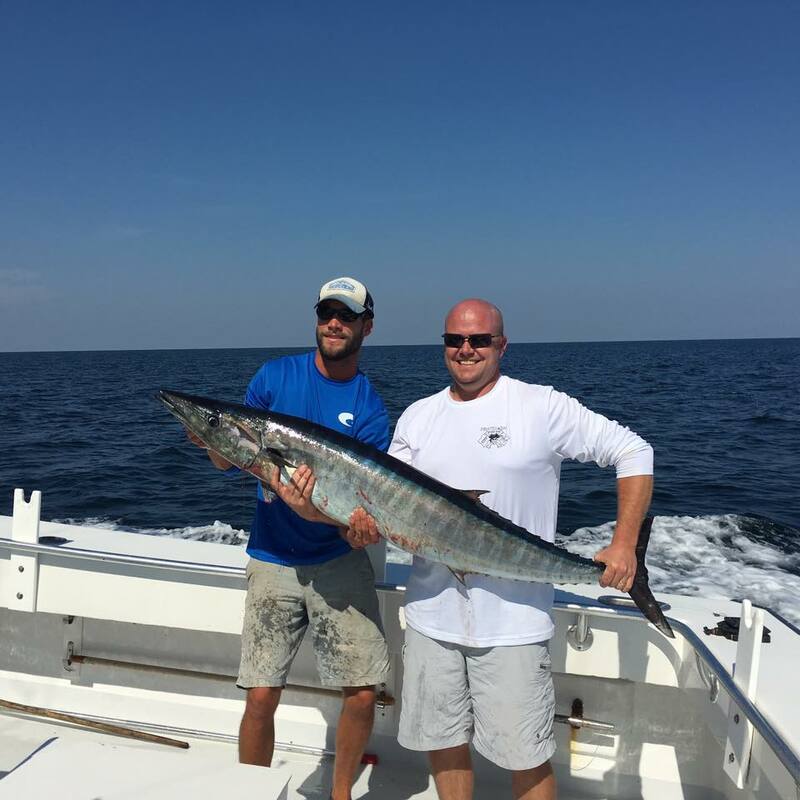 We pride ourselves on service and we strive to offer a fun filled, and memorable fishing trip. 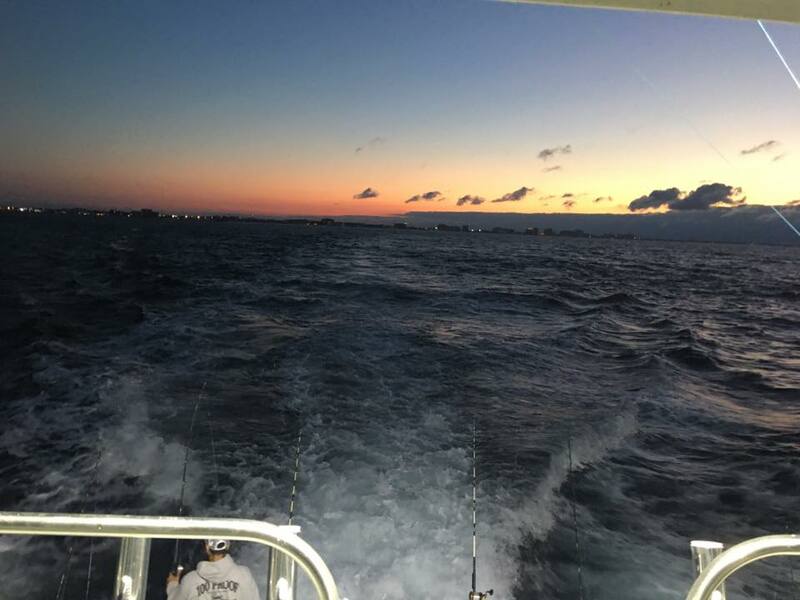 Our crew is well trained, and our captain is Coast Guard licensed and certified. 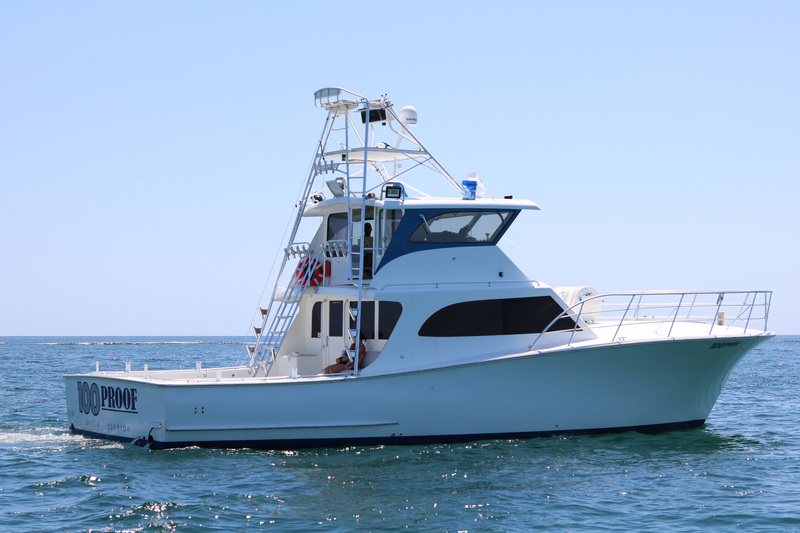 We keep the boat clean, inspected, well maintained and we are Coast Guard Approved. 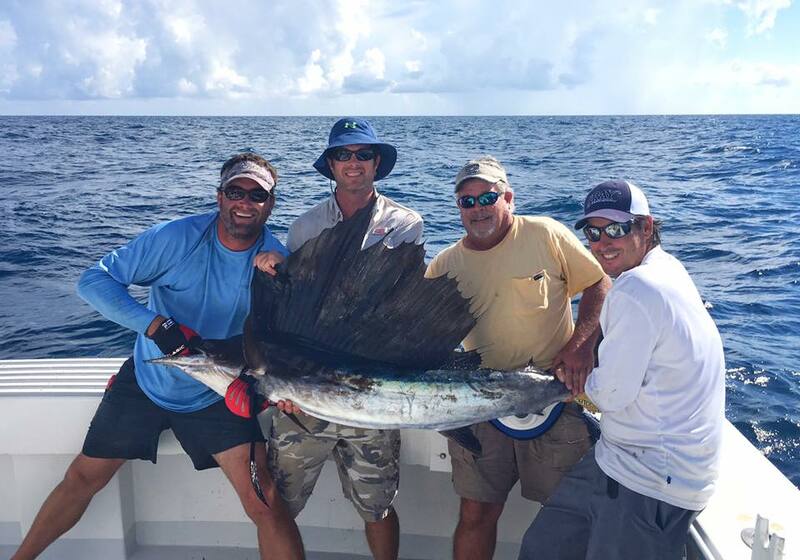 Charter a fishing trip with us and have an adventure of a lifetime! 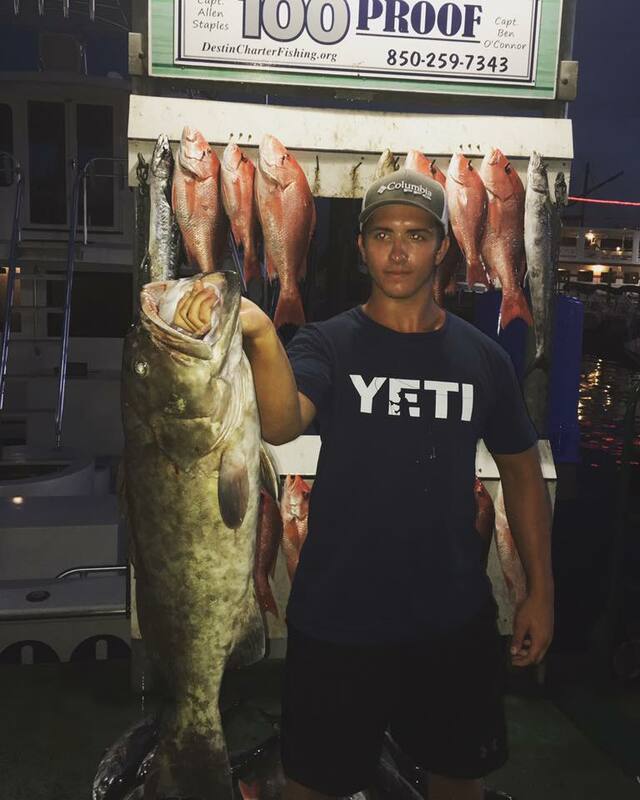 Eight, ten, and twelve hour trips will produce some great Snapper, Grouper, & Amberjack fishing! 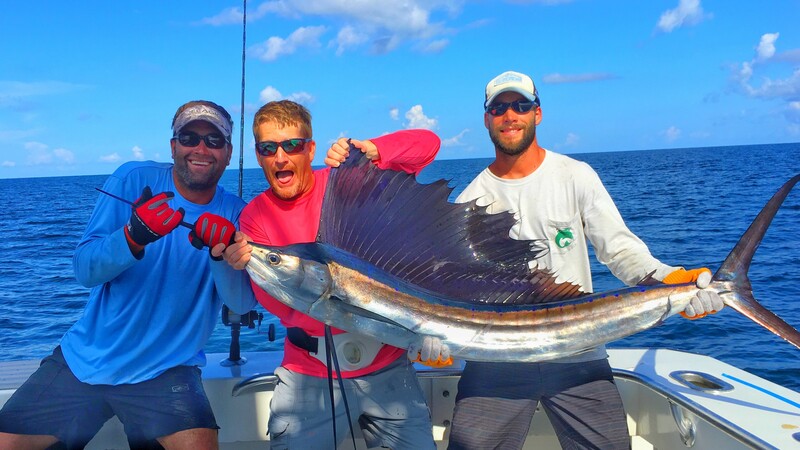 The Season never ends!!! 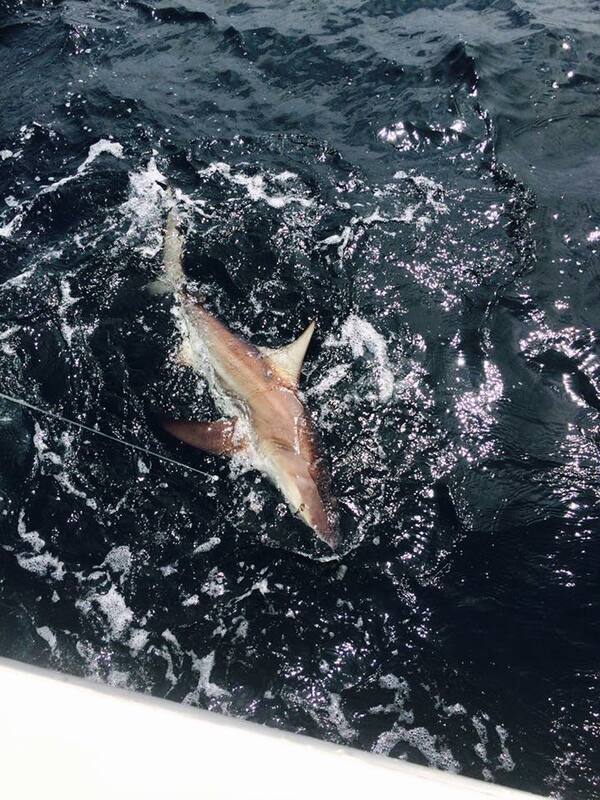 Come enjoy a nice charter fishing trip today in Destin Florida. 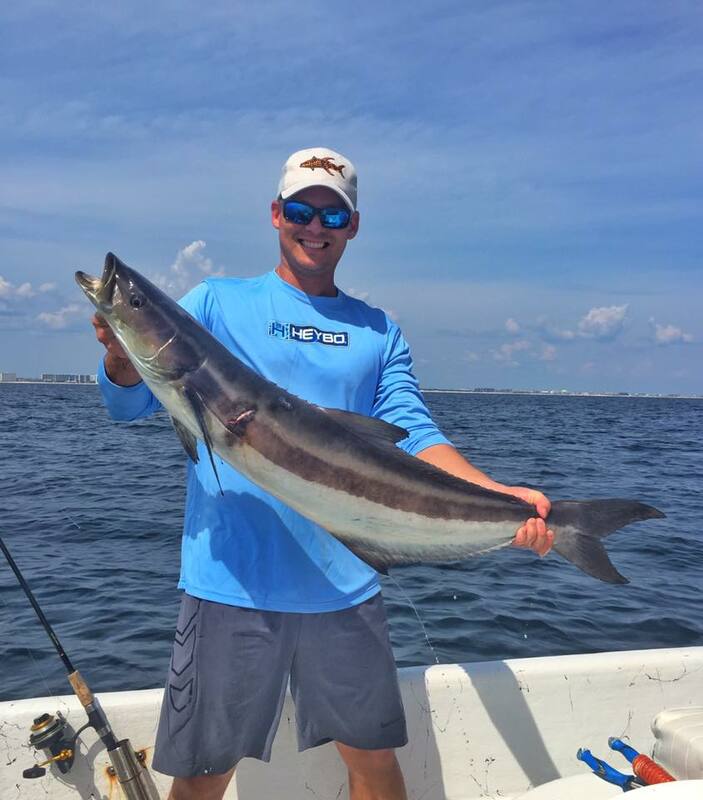 Want to share your fishing experience? 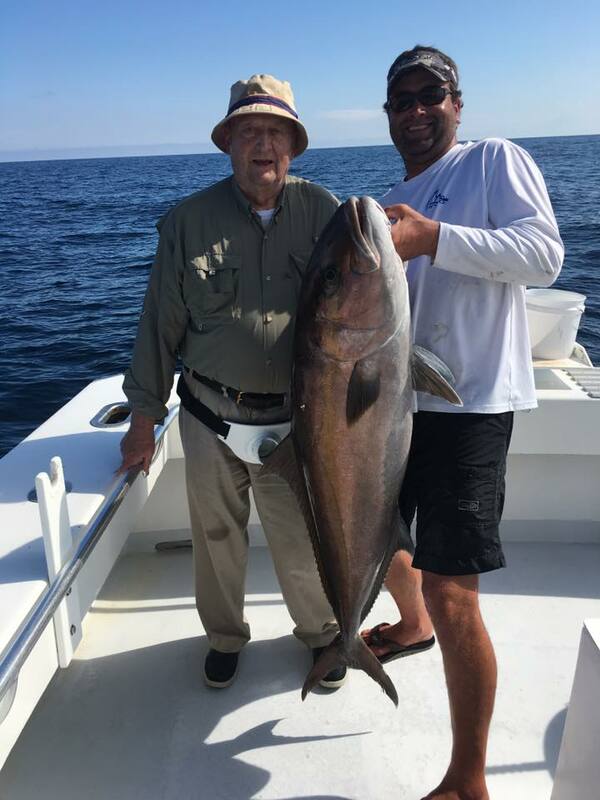 Click the button below to leave your fishing reviews and share your story!